The TEG1224T offers advanced security scheme with port/MAC/IP/VLAN based filters to screen access to network. It also automatically prevents ARP and DoS attacks, helping you to deploy a secure and reliable high speed network. Gigabit speed and a switching capacity of up to 56Gbps meet the performance needs for even the most bandwidth-hungry applications. 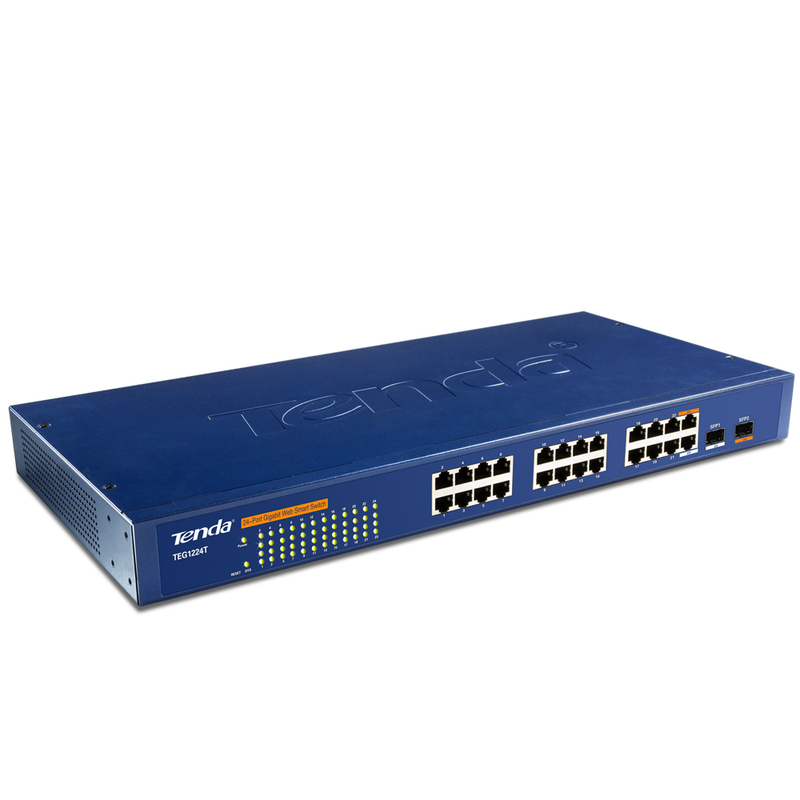 The switch outperforms a conventional 10/100Mbps switch in transferring large files and graphics across the network quickly and streaming other applications such as multimedia, VoIP, video conference and online gaming with no glitch or lag. 802.1p Priority Queues enables users to run streaming multimedia and VoIP applications. It can manage traffic, rate limiting, SP, WRR, and broadcast storm control based on source MAC/IP address, destination MAC/IP address, TCP/UDP port, protocol and VLAN. The device can be configured from any network computer through an Internet browser, dispensing users of the need to set up consoles and connect console cables. From a network station, network administrators can monitor network status and statistics and receive traps of system events or port errors.